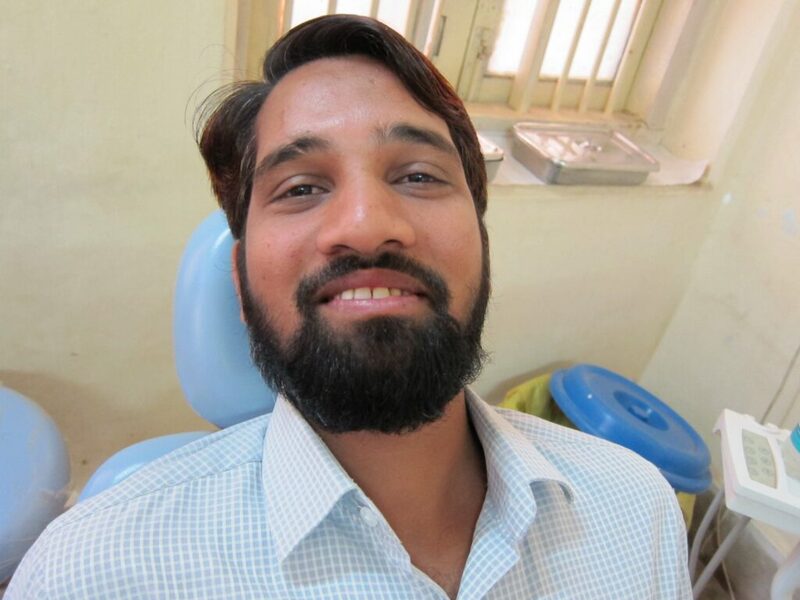 Imran is a school clerk from Ahwa, Dang, Gujarat, India, the same village where Vanbandhu Arogya Dham, our healthcare facility, is located. In November of 2013, Imran was in a bus on the way to work when the vehicle was struck by a truck, injuring him and over fifty other passengers. 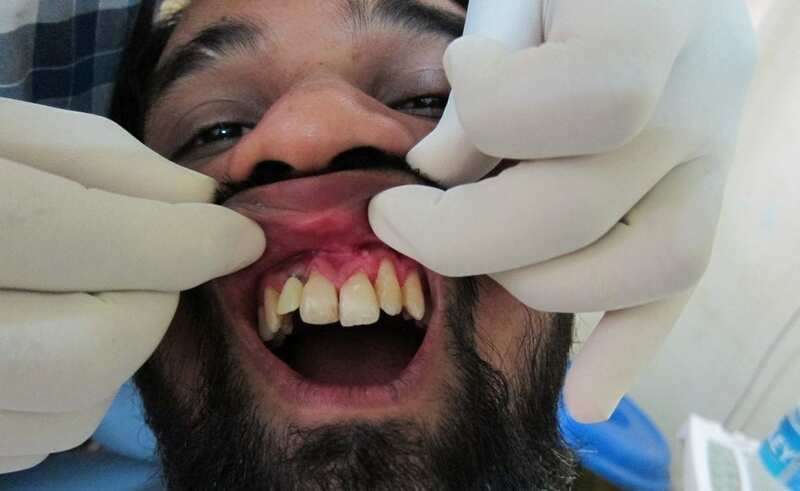 Imran sustained severe face and mouth injuries, losing teeth and with them his sense of confidence. 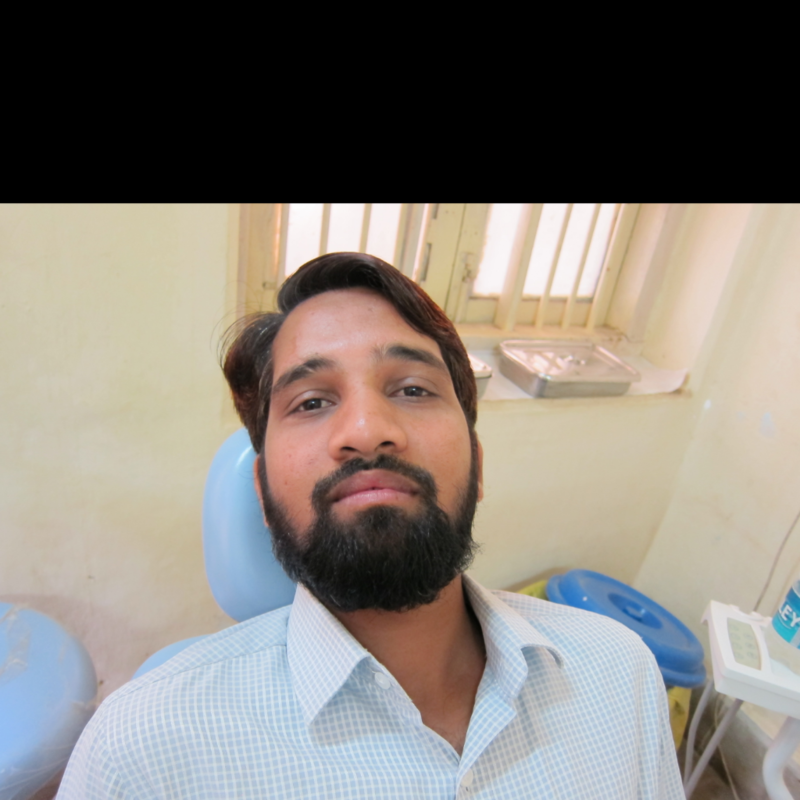 A few months later, KJP Charitable Trust sponsored implant surgery for Imran, restoring his smile and happiness. My name is Imrankhan Husenbhai Bagwan. I am 31 year old. I am living at Ahwa, which is located at Hilly, remote and Jungle area of the Dang District, Gujarat State, India. I am doing job as Clerk at Jawahar Navodaya Vidyalaya, Saputara. Jawahar Navodaya Vidyalya Samiti is An Autonomous Organization under the Ministry of HRD, Department of School Education & Literacy, Govt. of India. The organization constituted for provide good quality modern education to the talented children predominantly from the rural areas, without regard to their family’s socio-economic condition. In our Saputara’s school total 252 students are studying. Our school is totally based on residential concept. Saputara is very famous tourist place of Dang District. On 16.11.2013 when I was going to Saputara I had an accident at Malegam. Malegam is nearby village of Saputara. I was travelling by Bus (Waghai to Nashik via Saputara). Suddenly break failed truck came from Saputara and hited our bus. More than 50 passengers got injuries. Among of them I was one. In this accident I got injury on my face and mouth. The 108 emergency services came and they shifted us to nearby Primary Health Centre, Saputara. 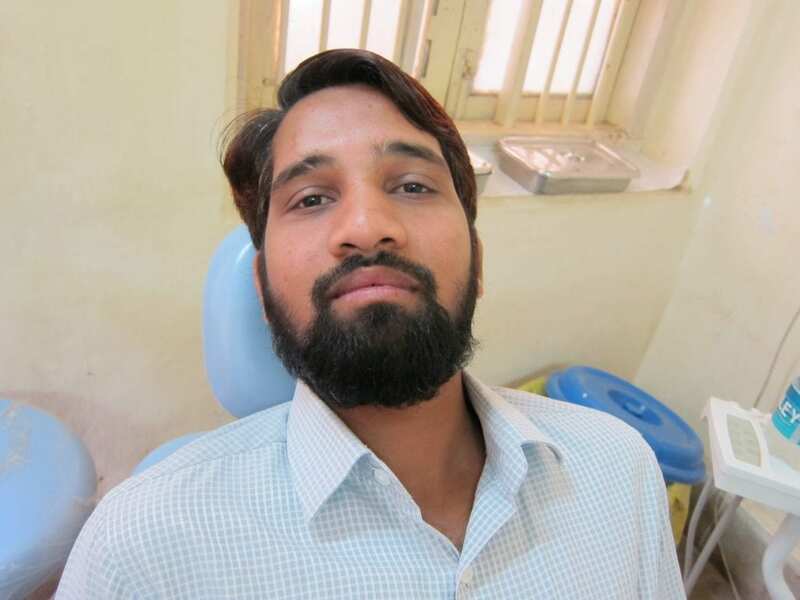 Doctor was examined me and referred to Ahwa Civil Hospital, due to dentist diagnose, but also the dentist of Ahwa Civil Hospital referred me to Surat K. P. Sanghvi Hospital for further treatment. At K. P. Sanghvi Hospital, Surat Mr. Nehal Patel Sir was operated my case and identified the problems. 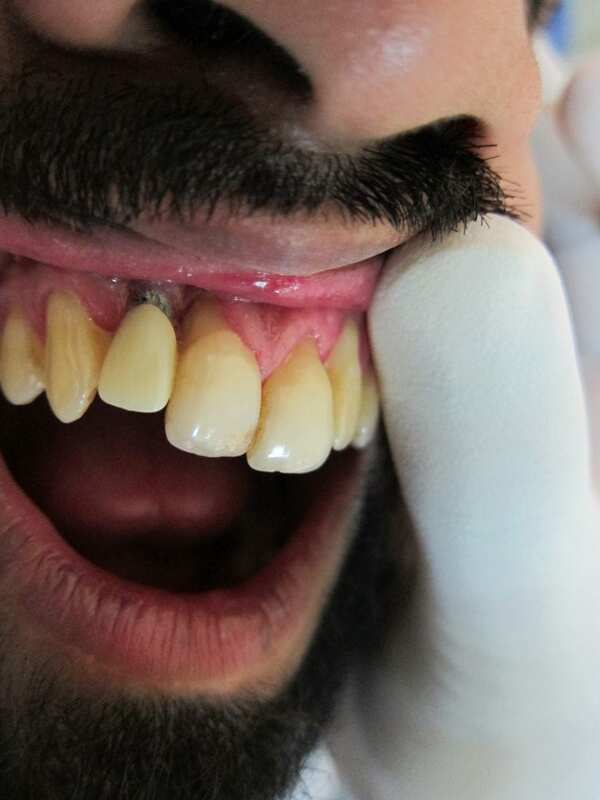 In the primary examination it’s found that there was loss of tissue from middle of the upper lip, upper anterior maxillary segment along with 3 teeth moved inside and there was loss of right lateral incisor. Large lacerated wound was present in upper vestibular region. 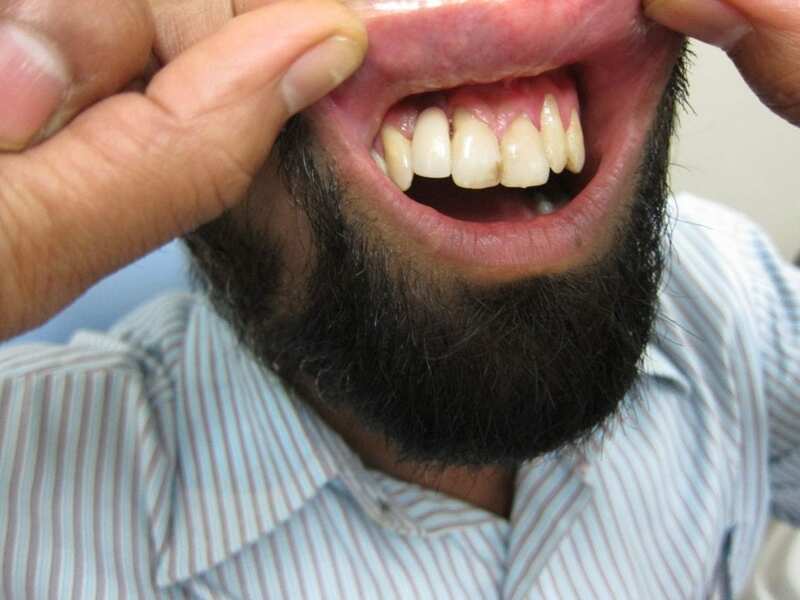 My PA mandible was suggestive of fracture maxillary ant segment with loss of right lateral incisor. 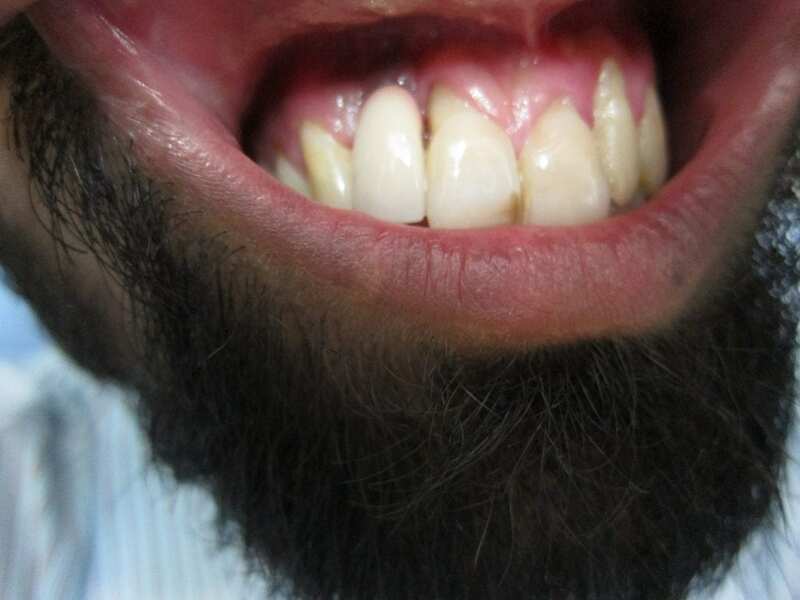 Dr. has fixed my loose teeth with arch. After 45 days doctor has removed the arched and took a C.T. Scan of my mouth. 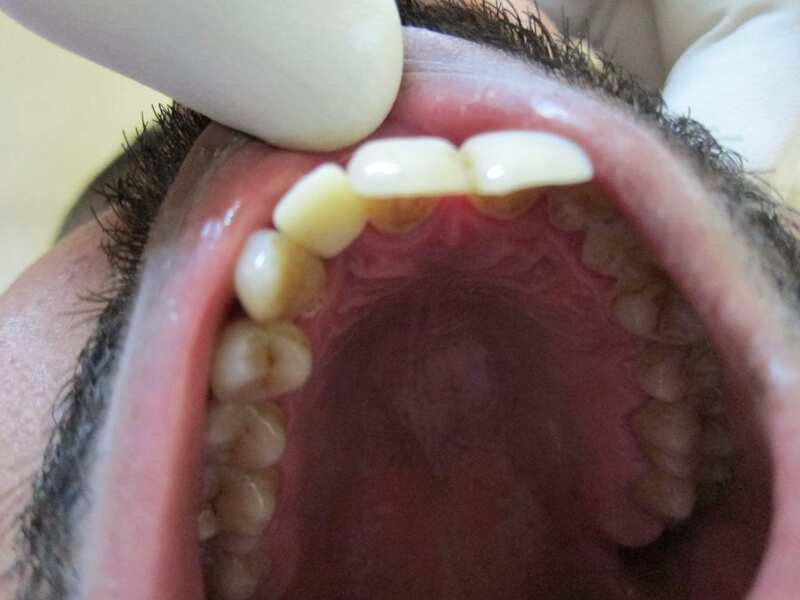 The report shown that my buckle plate of loosed teeth was total loss. Hence Dr. Nehal Patel suggested to me took as it same for few days. 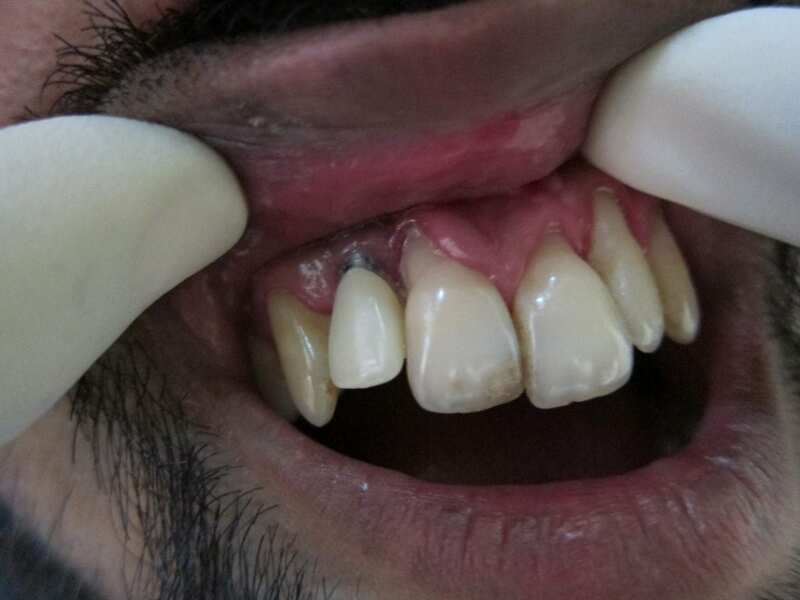 After few days he suggested me bone grafting and then implant prosiger. In between by my good luck I meet Dr. Ashok Patel Sir. He shown my report – diagnosed and told me that, we can took a chance i.e. we can put direct implant without bone grafting through the American advance technology and method. 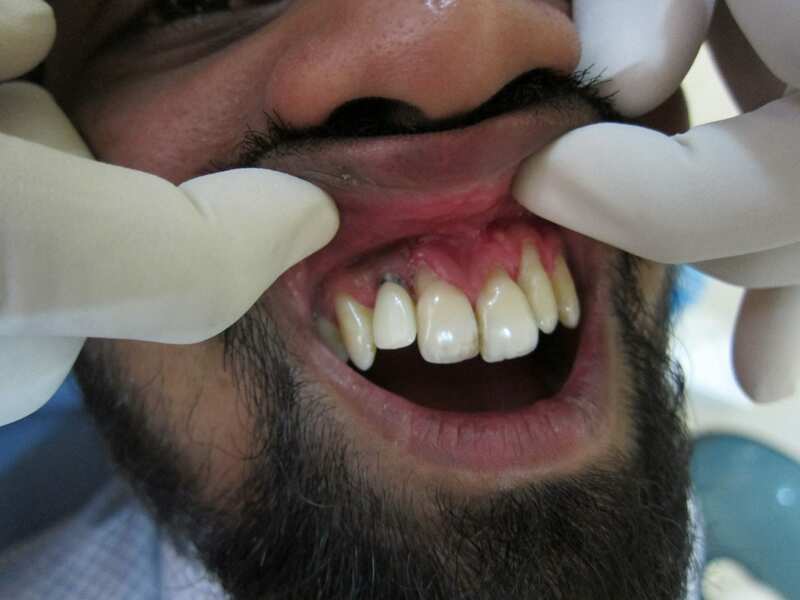 Finally on 16/01/2014 my implant was fixed by Dr. Ashok Sir at Surat. Dr. Samir Sir was assisted him. 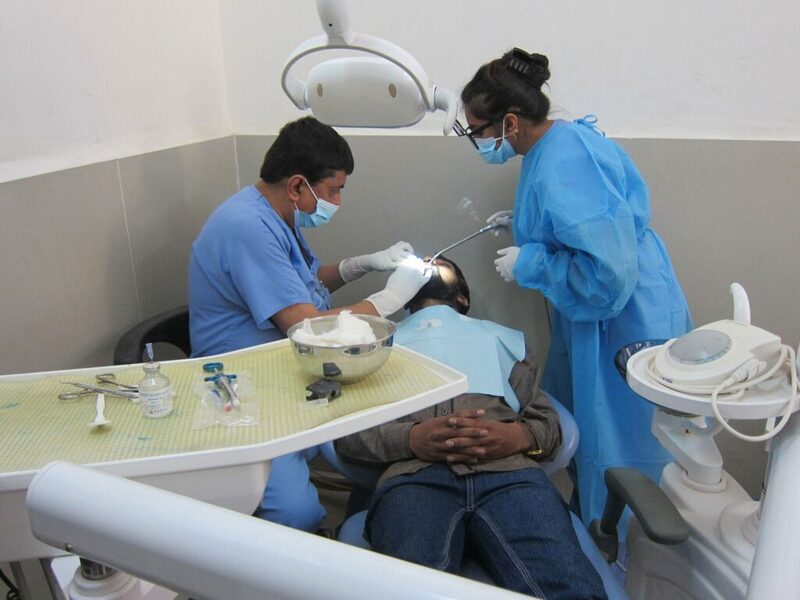 Then the routine follow up took by Dr. Ashok Sir. and after few days, he. 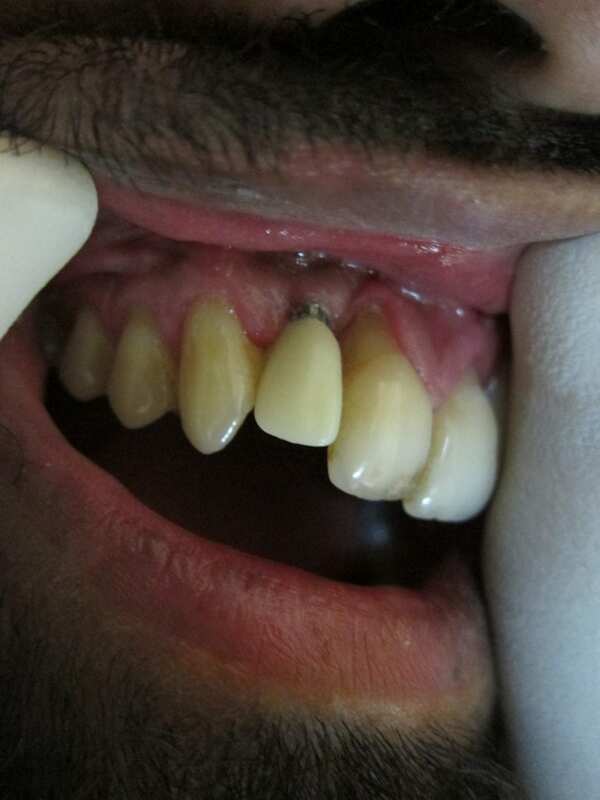 Finally on 16/04/2014 Dr. Ashok Sir fixed a crown on my implant and placed a temporary teeth. Thank you sir. Thanks again Sir. UPDATE: Imran is a member of Cyber Group Dangs, an IT solutions organization which was instrumental in coordinating our 2014 Healthcare Camp held at Ahwa General Hospital. Since the surgery, he is always smiling!